To view the full details of The Philosophical Transactions From the Year 1743, to the Year 1750 ... Abridged ... The Latin Papers being translated into English ... Volume the Tenth ... The Mathematical Papers ... The Physiological Papers ... The Anatomical and Medical Papers ... 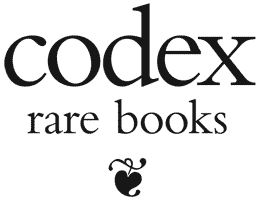 The Historical and Miscellaneous Papers and our continuously-growing catalogue of over 838 other titles, subscribe to Codex Rare Books today! Gallery of 263 pages is available to subscribers.